The “Jackson Hole Nordic Ski Trip of a Lifetime” will showcase all of the incredible groomed and untracked cross-country trails and ski tours that Teton County and Grand Teton National Park have that makes Jackson Hole a unique, world-class Nordic ski destination. 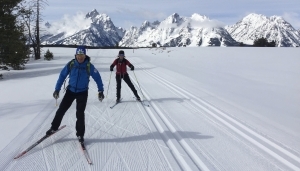 The JH Nordic Alliance and its member organizations and Teton County Parks & Recreation, contribute to groom both classic and skate cross-country trails in the Bridger-Teton National Forest, Grand Teton National Park and the town of Jackson. 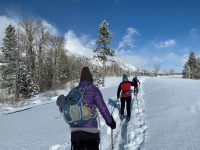 Check out JHNordic.com/trails to discover over 80 trails with GPS maps, elevation profiles, descriptions, snow condition types (groomed, skier-tracked, untracked), difficulty, and more. 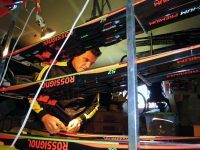 The winner of “Nordic Ski Trip of a Lifetime” will be chosen by signing up on JHNordic.com. Winner will be announced via email on December 15, 2016. Note that blackout dates apply (see Official Rules below). Sponsored by The Jackson Hole Nordic Alliance (JHNordic.com), the Jackson Hole-based community sponsored collaborative and online Nordic trails & GPS maps resource, in partnership with the Jackson Hole Mountain Resort. 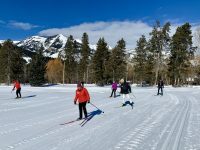 Other sponsors include: Spring Creek Ranch, Jackson Hole Mountain Resort Nordic Ski School, Hole Hiking Experience, Teton Pines Nordic Center and Skinny Skis. Jackson Hole Nordic Ski Trip of a Lifetime – Official Rules Sponsors: JH Nordic Alliance & Jackson Hole Mountain Resort Corporation (“JHMR”) 3155 Teton Pines Drive, Wilson WY 83014 Sweepstakes Entities: JHMR, JHNordic Alliance Prize Providers: Jackson Hole Mountain Resort, Spring Creek Ranch, Skinny Skis, Hole Hiking Experience, Teton Pines Cross-Country Center. NO PURCHASE NECESSARY TO ENTER THE SWEEPSTAKES. VOID WHERE PROHIBITED BY LAW. To enter this Sweepstakes fill out this form below or go to www.blog.JHNordic.com during the Promotion Period, complete the entry form and submit as instructed. Entrants must complete all required fields on the online entry form to be successfully entered in the random drawing. Incomplete or inaccurate entries are void. One entry per person will be accepted regardless of method of entry. All entries submitted in accordance with these Official Rules shall be referred to hereafter as the “Eligible Entries”. Promotion Period: The Promotion Period begins November 1, 2016 and goes through December 11, 2016 (the “Promotion Period”). 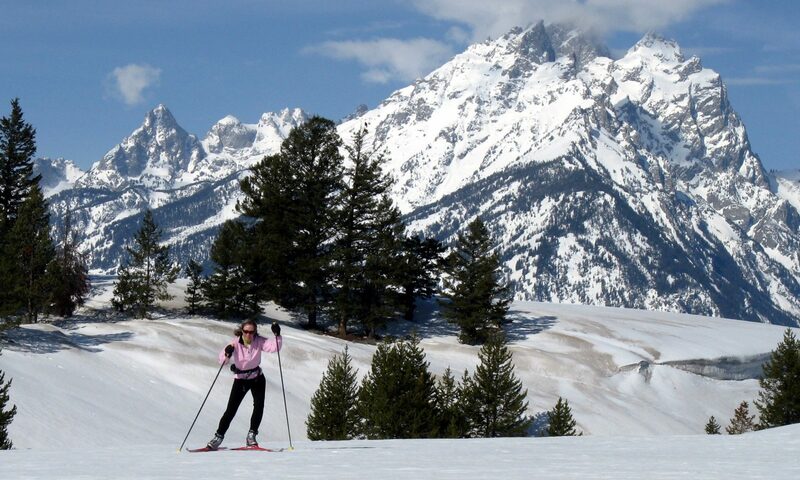 One (1) Grand Prize: trip for 2 to Jackson, Wyoming with 3 nights lodging and breakfast at the Spring Creek Ranch, 3 days Nordic skiing, and round-trip airline tickets (must originate from the continental United States ONLY to JACKSON HOLE AIRPORT, (Sponsor is not responsible for any travel costs outside of continental US), cross-country classic or skate skis, boots, poles rentals from Skinny Skis, Nordic ski lesson and 1 day ski pass at Teton Pines Nordic Center, 1 day Nordic ski tour with Jackson Hole Mountain Resort Nordic Ski School, 1 day Nordic ski tour with Hole Hiking Experience in Grand Teton National Park, and 1 JHMR $150 mountain money card valid at Piste Restaurant, top of the Bridger Gondola at Jackson Hole Mountain Resort for the Grand Prize Winner and one guest. Trip must be completed by April 1, 2017. The Grand Prize Winner must book trip by January 30, 2017 or the prize will be void. Approximate Retail Value (”ARV”) of Grand Prize is $4500 U.S.D. If Grand Prize Winner cannot take the trip during dates specified by the Sponsor, the Sponsor shall have no further obligation to the Grand Prize winner. Prizes may not be transferred or redeemed for cash. Sponsor reserves the right to substitute some or all of a Prize for one of equal or greater value. Grand Prize winner is solely responsible for all applicable Federal, State and local taxes on the value of his/her Prize. Certain restrictions and blackout periods apply. Blackout dates for the Grand Prize winner and guest’s stay include December 17, 2016 through January 2, 2017, January 13-16 2017, and February 18th through February 26, 2017. Package must be booked 14 days prior to arrival. Potential Prize Winner will be randomly selected from all Eligible Entries received during the Promotion Period. Odds of winning the prize depends on the number of Eligible Entries received. The prize drawing will be conducted on or about December 15, 2016. 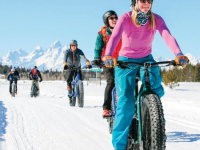 Drawing will be conducted by the Community Foundation of Jackson Hole, an independent non-profit community organization whose decisions are final and binding on all matters relating to this Sweepstakes. THE SWEEPSTAKES AND PRIZES ARE PROVIDED “AS IS” WITHOUT WARRANTY OF ANY KIND, EITHER EXPRESS OR IMPLIED, INCLUDING BUT NOT LIMITED TO, THE IMPLIED WARRANTIES OF MERCHANTABILITY, FITNESS FOR A PARTICULAR PURPOSE OR NON-INFRINGEMENT. THIS PROMOTION IS IN NO WAY SPONSORED, ENDORSED OR ADMINISTERED BY, OR ASSOCIATED WITH, FACEBOOK. BY PARTICIPATING, YOU HEREBY RELEASE AND HOLD HARMLESS FACEBOOK FROM ANY AND ALL LIABILITY ASSOCIATED WITH THIS PROMOTION. Governing Law and Jurisdiction: This Sweepstakes is governed by and construed in accordance with, the laws of the State of Wyoming, U.S.A., without giving effect to the conflict of laws rules thereof, and any claims related to or arising under this Sweepstakes shall take place in the State of Wyoming.